We recently urged all to oppose the Highgate Tower – a 106m, 30+ storey glass alien – on the Chariots Sauna/Majestic Wine site on Shoreditch High Street. “Our objection is primarily concerned with the height, massing and design of the proposed building. This building is comically over-sized. It is an incursion on the Shoreditch Triangle and conservation area. It sets a poor precedent, to be relied upon by the Goodsyard and those adding to the wall of towers. In our view an appropriate commercial building here complements its surroundings, with height mirroring the landmark Tea Building. Remarkably everyone points to the Tea Building as a success…yet no one seeks to replicate it. This site is physically the entrance to Shoreditch, and this neighbourhood deserves something better than a City office/hotel tower. In this light, and for every reason set forth in our objection, we believe the Application should be rejected in its entirety. See below for how you can add your voice against this madness. We urge everyone to submit an objection as soon as possible. To object now e-mail planning@hackney.gov.uk. Suggested text is below. OBJECTIONS NEED TO BE SUBMITTED IMMEDIATELY. The formal deadline has passed but Hackney confirmed late objections will be accepted. Please submit an objection today to help ensure a vibrant, diverse future for Shoreditch, not more towering luxury hotels. And please pass this on/share in every way you can. Follow us on Twitter at @shoreditchcomm, and get people to sign up for our email list. Let us know how we’re doing and contact us any time at sca@shoreditchcommunity.com. BELOW IS SAMPLE OBJECTION LANGUAGE. PLEASE USE YOUR OWN LANGUAGE. Individual responses carry more weight. For example consider writing about the direct impact on you. Be careful to say you are objecting, and include your postal address. The height and massing of the proposals need to be significantly reduced to not overwhelm the site and adjacent heritage assets and conservation areas, nor blight adjacent streets and homes in shadow and darkness. The buildings should integrate with existing heights and landmark buildings such as the Tea Building. The major community benefit – the mooted public spaces – is a red herring. I do not support occasional access to office space – as the price of the shadow from a 30 storey tower. There are 10 hotels being built within a 10 minute walk of this site. This neighbourhood does not need another luxury hotel. This project does little to solve immediate neighbourhood problems, like truly affordable creative workspace and housing. The site is in an area of significant heritage assets and surrounded by conservation areas, yet the proposed design is better suited to Canary Wharf or Hong Kong than Shoreditch and Spitalfields. The applications require a significant rethink and dramatic improvements. Ultimately, the proposals represent the worst type of exploitative development, shaped by short-term economics and lacking a long-term vision for Shoreditch. Overbuilding of the Shoreditch Triangle will waste an precious asset that can’t be recovered. If this application will be going to the Planning Sub-Committee I would like to be advised of the date. I do not consent to the release of personally identifiable information. New 24/7 License for Courthouse Hotel? A side entrance on Hoxton Street close to residential properties, leading to even more inebriated punters congregating in an already crowded area. The SCA has written to Licensing to express these concerns. We urge you to support our efforts and send your own representations ahead of the deadline on 26 August (strictly enforced). Suggested text is below, but please use your own words if possible. – The location of the venue is in the middle of a zone that is saturated beyond breaking point with late-night drinking and party venues, attracting hordes of booze tourists every weekend causing intolerable noise, anti-social behaviour, littering and fouling of the streets. The last thing the area needs is yet another major late-night venue. This venue will add to the cumulative impact and existing issues of noise and disorder. – While a hotel can reasonably be expected to require a license in order to serve its guests, once granted the license can easily be abused for other purposes. – The plans for the Courthouse Hotel include a “roof-top bar and function area”. Noise from a rooftop space travels unabated over a wide distance, leading to significant disturbance for surrounding residents. – The proposed side entrance in Hoxton Street is directly adjacent to several residential properties and could become a focal point for lingering crowds, presenting issues of safety to children and noise/disorder. Any license granted to the Courthouse Hotel must be carefully worded and restricted to ensure that it can only be used to serve hotel guests, and that any activities (and resulting noise) are well contained within the building and occur at reasonable hours. We’re urging all to oppose the latest grossly oversized tower in the middle of Shoreditch. Developers want to build the Highgate Tower – a 106m, 30+ storey glass alien – on the Chariots sauna/Majestic wine site on Shoreditch High Street (application HERE). The proposal for a comically big hotel and office tower, next door to two storey buildings and in the middle of low-rise offices and homes, will cast a shadow over much of the Shoreditch Triangle (image HERE) and dominate the area like a goliath striding across the land. The developer’s opportunism is based on the realisation of the monstrous Goodsyard proposals. And as usual, the CGI images deliberately minimise the full scale. The development is so over-sized that the application ignores its Shoreditch Triangle context and has to say the “scheme will complement the tall buildings to the south of the site on the City fringe, which include the mooted development on Bishopsgate Goodsyard”.. The SCA’s Planning Committee will publish a full recommendation. However if you’d like to object now click HERE (or e-mail planning@hackney.gov.uk). Suggested text is below. OBJECTIONS NEED TO BE SUBMITTED IMMEDIATELY. The formal deadline is 6 August 2015 (although Hackney confirmed late objections will be accepted). Inevitably the City will creep towards Shoreditch. This proposal lands on Shoreditch like the house on the Wicked Witch of the East. Maybe that’s the idea. 1. The height and massing of the proposals need to be significantly reduced to not overwhelm the site and adjacent heritage assets and conservation areas, nor blight adjacent streets and homes in shadow and darkness. The buildings should integrate with existing heights and landmark buildings such as the Tea Building. 2. The major community benefit – the mooted public spaces – is a red herring. I do not support occasional access to office space – as the price of the shadow from a 30 storey tower. 3. There are 10 hotels being built within a 10 minute walk of this site. This neighbourhood does not need another luxury hotel. This project does little to solve immediate neighbourhood problems, like truly affordable creative workspace and housing. 4. The site is in an area of significant heritage assets and surrounded by conservation areas, yet the proposed design is better suited to Canary Wharf or Hong Kong than Shoreditch and Spitalfields. The applications require a significant rethink and dramatic improvements. For more than a year, what’s now known as “Pump” at the Texaco/Co-op site on Shoreditch High Street sought permission for a food and alcohol operation. Officially rejected – failing twice with planning and their alcohol license forcefully rejected – the venue is nevertheless open, relying on the old off-license to serve cocktails, beer and wine. The SCA strongly recommends residents support the Hackney Licensing team. Below is info on how to comment. Sample language is below, but please personalize. THE STRICT DEADLINE IS 10 JULY 2015. – Protection of children from harm (whether local children suffer harm from the negative consequences associated with the consumption of alcohol on the premises). I support the review of the license at 168/175 Shoreditch High Street, London E1 6HU. I believe this license should be terminated for undermining the licensing objectives. – This venue is incompatible with a residential neighbourhood. Residents have report noise, increases in crowds, smells and rubbish. This venue contributes to the cumulative impact on the neighbourhood and is thus a public nuisance. 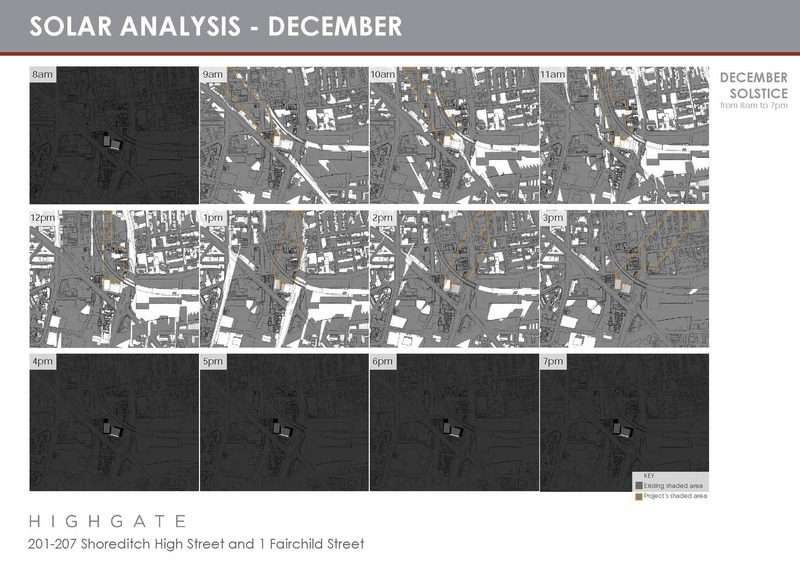 – The venue is adjacent to the adjacent Shoreditch Special Policy Area, and should be terminated given the cumulative impact on crime, disorder, public nuisance and risks of undermining the SPA. – The protection of children from harm is vital. Shoreditch is overwhelmed with drinking establishments. The very presence of the venue in this area adds to the cumulative impact, and thus puts children further at risk of harm. I would like to be advised of the Sub-Committee date. I do not consent to the release of personally identifiable information. Neighbourhood Policing in Hackney – as part of their continual drive to improve engagement with the public – have launched a new media tool called Neighbourhood Link. It’s very simple to sign up. Simply click on the link below (or HERE) and follow the instructions to register. It takes two minutes. The police will then send you relevant information, for example about crimes in your immediate area, upcoming police initiatives, crime prevention advice and much more. The police also hope to use it to receive feedback in order to refine how they work. Creative Offices? Or Deep-Fat Fryers? Yet more office space is being converted to a fast food joint. The latest is a burger place kicking out a small creative agency.